Just how bad is overfishing? Daunting-yet-solvable bad? Or "The End of Seafood" bad? Different analyses -- some perhaps overly alarmist, and other definitely not alarmist enough -- will tell you different things. The Washington Post's WonkBlog calls attention to a new paper from researchers at the University of British Columbia that attempts to put the various opinions into context. 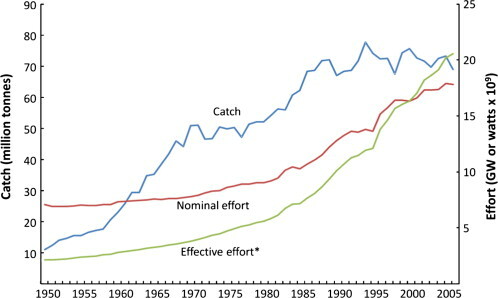 Their conclusion: Some fisheries are improving, but they're in the minority, while overfishing remains the norm worldwide. 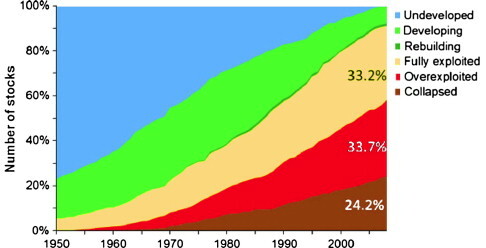 "There are a few places where fisheries are doing better: The U.S., Australia, Canada, Norway," Pitcher told the Post. "But those are relatively rare. In most places, the evidence suggests that things are getting worse."